Please note that adding these custom elements to DICOM Printer 2 workflows is a task that requires a little knowledge of XML. If you feel that the post is too technical for you, then ask someone with IT experience to help. In our previous post, we went through installation and configuration of basic film output. Although this is great for basic use, most facilities we’ve come across like to see their identity expressed on their product. In the previous post, we used the Configuration Wizard. The Wizard does the basics, but to add a logo we need to dig into the actual configuration file. To see it, launch the DICOM Printer Control Center. It can be found via the Start Menu, or by searching in Windows 8. You will then see the main control window. The configuration is comprised of three parts. General settings, the ActionsList, which is the list of things DP2 will be doing, and the Workflow, which is the order in which they will be performed. If the imager happens to be unavailable, or communication fails, the document is “Discarded”. This is so we don’t create a long queue of documents. Replace it with an action that puts the logo into place. Open up the DICOM Printer Control center and click the shortcut to the config folder. We’ve called the action addLogo. We’ll use this name later to call the action in the workflow. The logo is going to be placed into a box that is 16% of the page wide and 16% of the page tall. If you are unsure of your logo dimensions, then we recommend this size. DP2 will fit the image into the box, and keep the original aspect ratio. 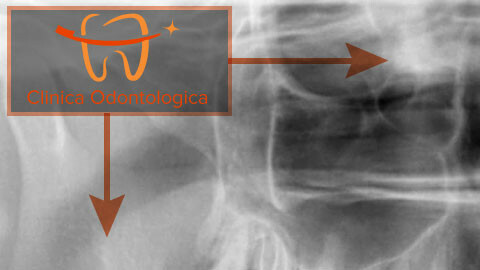 Place the text “Clinica Odontologica – R. Odontologica 131 – São Paulo, Brasil”. 10% from the left (X), and 97% from the top (Y) of the page. The text box will be 80% wide and 3% tall, with the font automatically adjusted to fit. The foreground colour will be white (0xFFFFFF) and the background will be a semi-transparent (0x80), black (000000) rectangle. This will allow the text to be read even when overlaying part of the image. Your next print job will have your logo at the top right and facility name at the bottom! Thanks for reading! Be sure to check out our downloads page, where you can download fully functional 60 day evaluations. At 495 USD, DICOM Printer is a stupendously inexpensive application. We’re excited that so many people find it useful. 1st Can I use DICOM print 2 for Printing films and sending to PACS as well with the same software!! 2nd How to add the Patient Name on the Printed Film . 2) This can be achieved using a PrintText action after a parse action that retrieves the name.